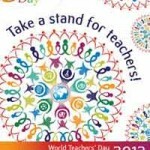 “Take a stand for teachers!” is the 2012 motto for World Teachers’ Day. Celebrations are being organized around the world. 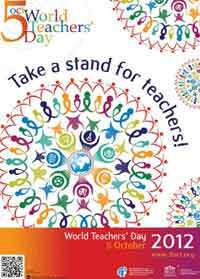 UNESCO calls on everyone to consider undertaking a special celebration for World Teachers’ Day. Contact us at the address indicated to tell us what you are planning. 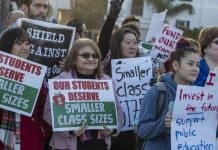 “Teachers… ultimately determine our collective ability to innovate, to invent, to find solutions for tomorrow. Nothing will ever replace a good teacher. 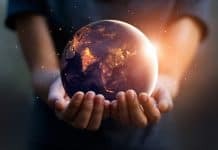 Nothing is more important than supporting them.” (Irina Bokova, UNESCO Director General).